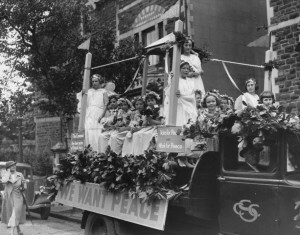 The heritage of the peace movement in Wales can now be researched and discovered in depth as a result of a £918,000 grant awarded by the Heritage Lottery Fund (HLF) to the Welsh Centre for International Affairs. The Cymru dros Heddwch/Wales for Peace project will span four years, focusing on one central question: in the 100 years since the First World War, how has Wales contributed to the search for peace? Using the First World War as a starting point, the project will explore personal accounts of ’peace builders’ from Wales in the last century, including notable musicians, poets, pacifists and conscientious objectors, politicians and community leaders. It will shed light on this little known aspect of Welsh heritage and will conclude with a travelling exhibition of the project’s findings. Using the First World War as a starting point, the project focuses on researching and discovering the peace movement in Wales by working with the people and organisations that have played a part in this largely untold history. Divided into five themes, the project is multi-faceted and will include the digitisation of Wales’ Books of Remembrance, housed in Cardiff’s Temple of Peace, followed by a touring exhibition of the books which list the 35,000 servicemen killed in the conflict. Soldiers’ Stories – Uncovering the Impact of War: Digitisation of the national Books of Remembrance for the two World Wars and support people to uncover the stories behind the names, followed by a touring exhibition of the Books. The Peace Builders – Discovering Wales’ hidden Histories: Activities related to uncovering peace builders in Wales including online resources, events and artistic interpretations to explore themes. Stories of national importance will be covered, such as the Urdd Message of Peace and goodwill. Peace Now – The legacy for Today: Engaging people in discussion about how conflict and peace have shaped Wales today through formal and informal events; exploring current public attitudes to peace and conflict. Future Generations – Inspiring Young People through Heritage: Using Wales’ peace heritage as basis for creating teaching resources that develop learners’ skills and aims to inspire a new generation to work for a peaceful future. 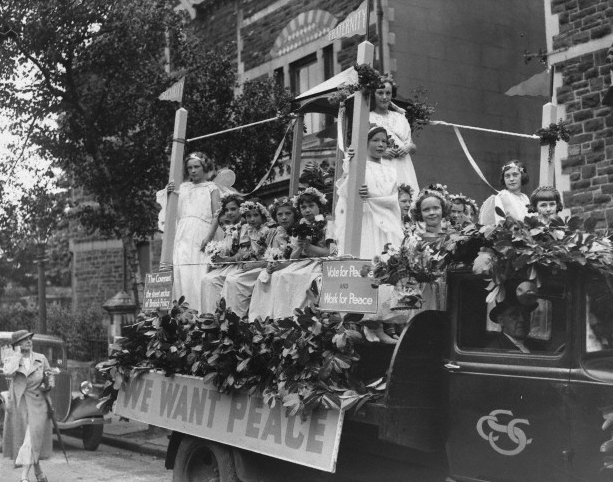 The Whole Story – Wales for Peace Exhibition: The main travelling exhibition will bring together all elements of the project and will tell the story of Wales and peace from 1914 to the present, including both national and local multimedia content. First Minister of Wales, Carwyn Jones said: “Through our centenary commemoration programme, Cymru’n Cofio Wales Remembers 1914-1918, we’re encouraging people across Wales to commemorate the First World War in the manner of their choosing. “I’m therefore delighted that The Wales for Peace project has received this grant from the Heritage Lottery Fund. We must never forget the role that Wales played in the search for peace – all the way from the First World War to the present day.